A California Highway Patrol rookie killed by a drunken driving suspect in the San Francisco Bay Area was remembered Saturday as a loving family man who was equally passionate about his job. Christie Smith reports. A California Highway Patrol rookie killed by a drunken driving suspect in the San Francisco Bay Area was remembered Saturday as a loving family man who was equally passionate about his job. Family, friends and hundreds of law enforcement officers and firefighters from California and as far as Michigan and Florida gathered to remember 33-year-old Andrew Camilleri of Tracy. Camilleri, a father of three who had been a CHP officer since March, died on Christmas Eve when a Cadillac rammed into the back of his patrol SUV parked on the shoulder of southbound Interstate 880 in Hayward. A touching video tribute to Andrew Camilleri featured dozens of photographs of him with his family, friends and CHP colleagues, leaving hardly any dry eyes at his packed memorial. The 22-year-old driver, who sustained serious injuries, was believed to be under the influence of alcohol and marijuana. 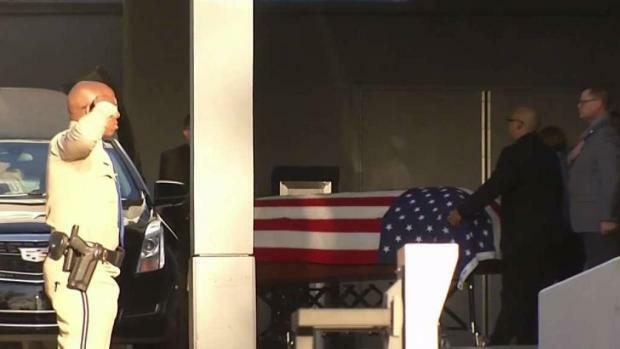 On Saturday, a funeral procession brought Camilleri's flag-draped casket from Tracy to the Christian Life Center in Stockton. Camilleri graduated from Merrill F. West High School in 2002, and met the love of his life, Rosanna, in his senior year when they both got jobs at a McDonald's, his brother Michael Camilleri said. The Camilleri family received a state flag from Gov. Jerry Brown before the memorial. Acting CHP Commissioner Warren Stanley also gave Rosanna Camilleri the badge her husband earned upon his graduation from the CHP Academy. "Although he wrote her up for being late," their relationship blossomed and Camilleri proposed in 2003. The pair was married in 2004 and welcomed their first child in 2005, he said, noting, "Andrew was a family man and loved nothing more than being with Roxy and their children. Matthew Camilleri recalled the 28 weeks his brother spent in the CHP Academy. The way he "endured the rigorous training" made it apparent that Andrew Camilleri had "found his calling." After joining the ranks of the CHP in March 2017, Andrew Camilleri, who played the bass guitar in church, began working the night shift and would call his father on the drive home and share the goings-on of each day. Matthew Camilleri called his brother "a role model for all to follow," adding that his "beautiful and infectious smile" and "wonderful, loving personality" will be sorely missed. 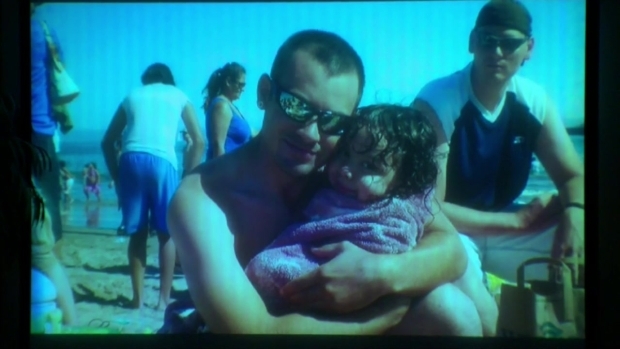 "He loved life and truly is a hero," Matthew Camilleri said. Paul Fontana, chief of the CHP's Golden Gate Division, echoed the same sentiments. Andrew loved action figures — in particular, the Power Rangers, Capt. Tim Pearson said. "Every morning when he got off work, he'd put on his superhero backpack, put his Power Ranger wallet in his pocket and walk out the back door," Pearson said. "Andrew is a CHP superhero." 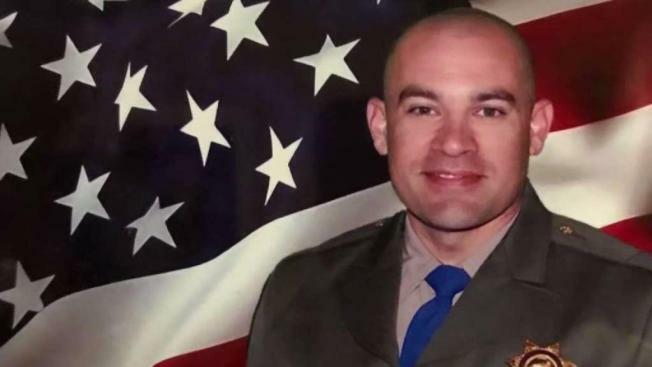 "Andrew died a hero, out on patrol on Christmas Eve, his life taken by the very dangers he was out to prevent," said Paul Fontana, chief of the CHP's Golden Gate Division. Remembering Camilleri's "selfless service" and "big humorous side," Fontana said that law enforcement officers across Alameda County were dedicating their anti-DUI campaigns to their fallen colleague. Andrew Camilleri's patrol partner of three months, who was injured in the crash, said the two bonded while working the graveyard shift. Jonathan Velasquez called his friend a "special person" who talked about his wife and children on every shift. Camilleri is survived by his parents, siblings, wife, a 12-year-old daughter and two sons, ages 6 and 2. And Fontana had a special promise for the Camilleri family: "Wherever you might travel in this great nation, you have a law enforcement family and you will never be a stranger in your travels." A somber bell-ringing ceremony in Sacramento on Wednesday morning honored the life and service of a California Highway Patrol officer who lost his life on Christmas Eve after a suspected drunk driver slammed into a parked patrol vehicle in the East Bay. Cheryl Hurd reports. The family received a state flag from Gov. Jerry Brown before the memorial. Acting CHP Commissioner Warren Stanley also gave Rosanna Camilleri the badge her husband earned upon his graduation from the CHP Academy. Camilleri's patrol partner of three months, who was injured in the crash, said the two bonded while working the graveyard shift. Officer Jonathan Velasquez said Camilleri pursued his dream of becoming a CHP officer after working for a pest control company. "It was always nice to get a full pest report of the restaurant you were going to right before eating," Velasquez said, earning laughter from the crowd. An emotional Velasquez called Camilleri a "special person" who talked about his wife and children on every shift. "Andrew, I know you can hear me," he said, breaking down. "I love you, buddy, and it was an honor being your partner. Rest in peace, brother." For his part, Assistant Chief Ernest Sanchez commended Camilleri for epitomizing the CHP's code of honor. 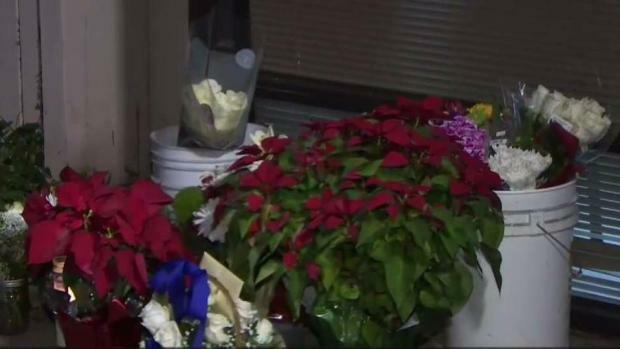 He gave his life in the line of duty on Christmas Eve, Sanchez said, because "he wanted to make sure that everyone got to their destinations safely that night." 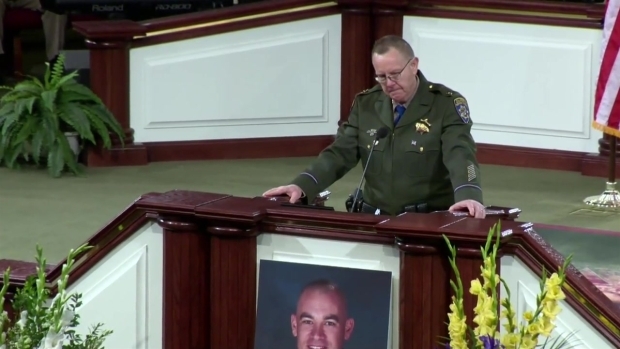 A touching video tribute to Camilleri featured dozens of photographs of him with his family, friends and CHP colleagues, leaving hardly any dry eyes in the packed church. "Andrew's father Mike talked of how Andrew would call and text him all hours of the night telling him how much he loved his job whether it was helping a disabled motorist or issuing citations to speeding drivers because Andrew liked to drive fast," said Capt. Tim Pearson, who commands the Hayward division where Camilleri worked. Andrew also loved action figures — in particular, the Power Rangers, Pearson said. "Every morning when he got off work, he'd put on his superhero backpack, put his Power Ranger wallet in his pocket and walk out the back door," Pearson said. "Andrew is a CHP superhero."